According to reports, the anti-Semitic and white supremacist murderer of three Kansas City suburbanites at Jewish Centers developed his views from reading racist and anti-Semitic newspapers as a youth. Propaganda arrives in many forms. The overt presumably read by this former KKK Grand Dragon Frazier Glenn Cross to much more subtle. Regardless of type, the impact can lead to mayhem or worse. The conflicts in the Middle East provide a ripe environment for the development of all forms of propaganda but nothing compares to the innuendo, allegations, distorted logic and outright lies propagated towards the Jewish State of Israel. And while old-style, open and notorious, anti-Semitism remains an effective tool of Israel’s foes, it’s the nouveau style, masquerading as legitimate criticism of Israel, which perhaps poses the greatest threat. Criticism of Israel is not anti-Semitic. Agree, disagree, agree and disagree with Israel; no doubt some of its own citizens have vocalized opinions with words not found in either English or Arabic. The concerning tactic hides amongst legitimate criticism, usually within the academic sphere, based upon grand distortions, false moral equivalencies and glittering generalities each containing strands of anti-Semitic DNA. Sunday’s New York Times Week in Review featured an op-ed under the title, “Are Iran and Israel Trading Places?” co-written by Abbas Milani, director of Stanford’s Iranian Studies Program and co-director of the Hoover Institute’s Iran Democracy Project, and Israel Waismel-Manor, a senior lecturer at the University of Haifa and a visiting associate professor of political science at Stanford. Like the so-called BDS (boycott, divestment & sanctions) movement in general, the article assumes Israel‘s moral equivalency to some of world’s worst offenders of human rights. Usually, that was apartheid S. Africa but on occasion the ironic comparison to Nazi Germany. Here, the professors choose Israel’s most potent and proximate enemy, Iran. Like Walt and Mearsheimer before them, Milani and Waismel-Manor rely on academic reputation to advocate against Israel in place of facts, logic and honesty. They claim that “Israel’s secular democrats,” a term not used in Israel, are losing ground to religious and right-wing extremists and that Israel could be headed towards a theocracy of Iranian proportion. Their evidence? The recent comments of two Cabinet Ministers and assumptions of the Orthodox birthrate and voting patterns. A slam dunk comparison to Iran’s violent overthrow of the Shah followed by decades of repression, murder, and status as world’s number one supporter of terrorism. By reaching such a specious assessment, Milani and Waismel-Manor crossover from academic argument into propaganda under the guise of academia. And it is in this crossover space where the strands of anti-Semitism lie. Whether attributing the words of select few to many or comparing theoretical Israel theocrats to Iran’s Ayatollahs, the professors hope readers’ bridge the intellectual gap with pre-existing views of Jews as clannish, manipulative and powerful. 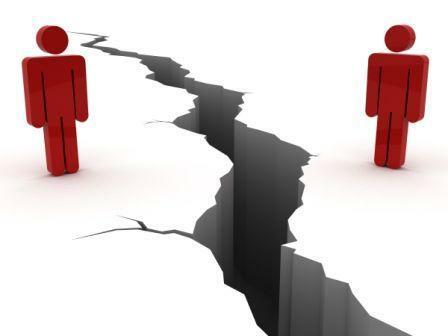 When these gaps, whether intellectualized or primal, become filled with lies, falsehoods, and omissions, propaganda succeeds. And while the BDS movement requires bridge builders such as Milani and Waismel-Manor for success, the path to peace requires those able to move beyond ancient and divisive canards. Join  me Thursday, April 24 @ 1 pm ET, noon CT and 10 am PT with special guest Marcus Sheff of The Israel Project. Live from Jerusalem, we will discuss all things Israel and the Middle East.